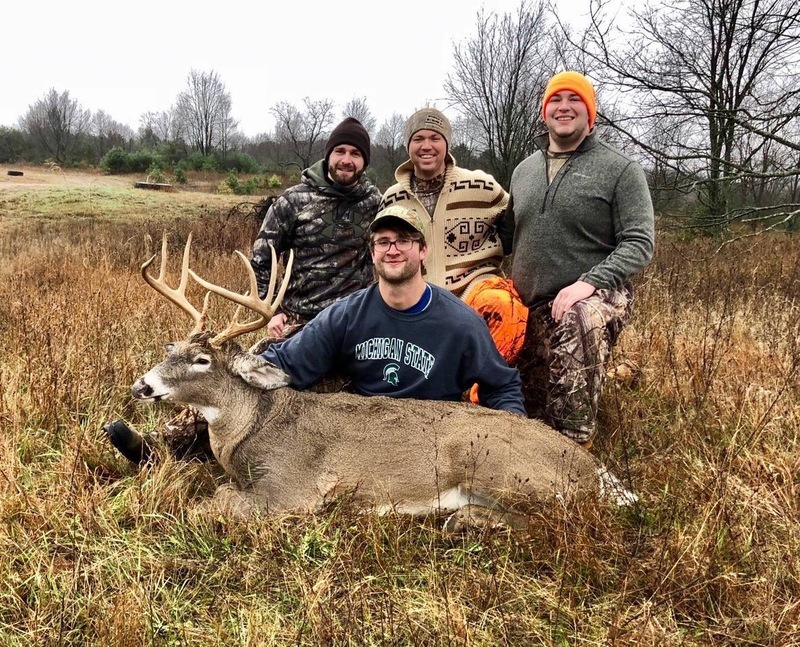 This Michigan out- door company has several hunters that took to the woods this year during the bow and rifle season. We’re posting our employee and customer photos! Send us your photos! We love to see our FBH hats being used in the great out of doors. Reppin’ his FBH hat, Grant Knoblock, our newest and most enthusiastic! 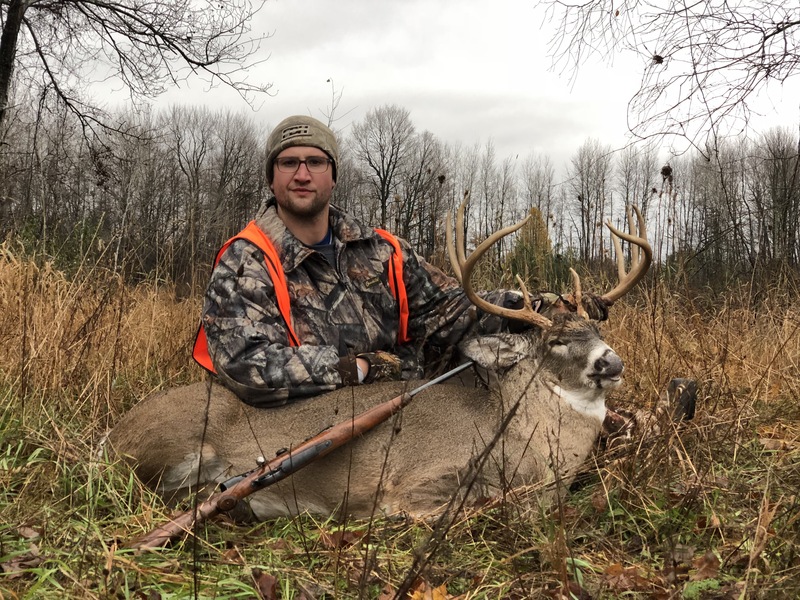 salesman and out-doors-man in our Ann Arbor office shot this nice mature buck in northern Michigan over the weekend. 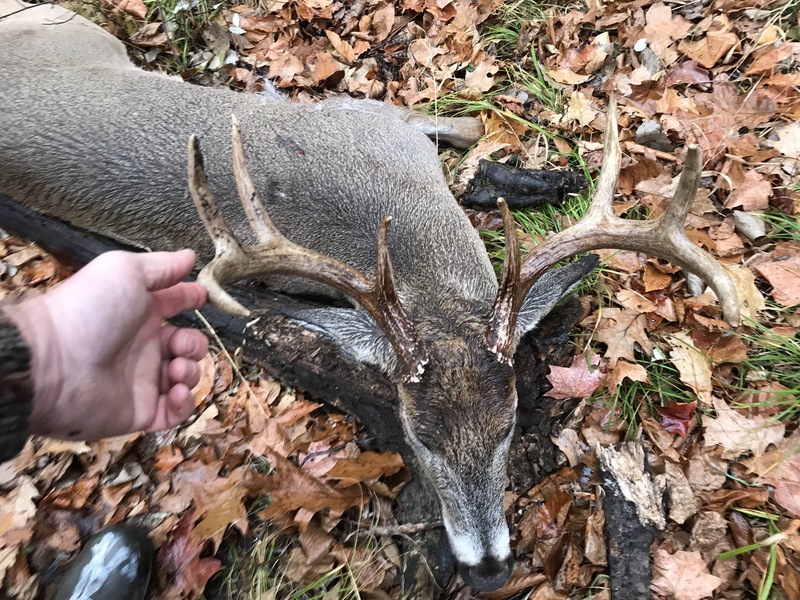 Post a pic of your buck here! 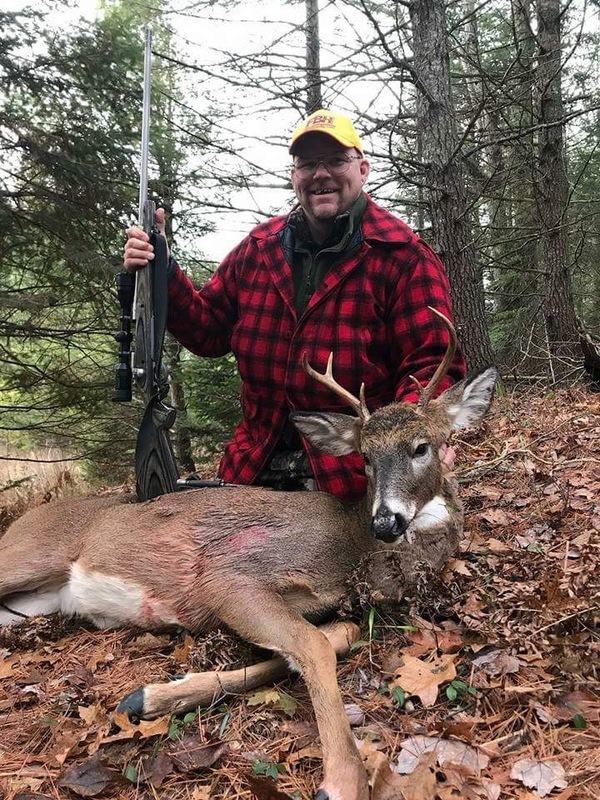 Gary-the-shooter Ferrier, our “Go To”end user door salesman and huge out-doors-man in the Flint area and surrounding counties, managed to not only hoist a few bucks but also one of his specialties is pheasants -even without his dog. 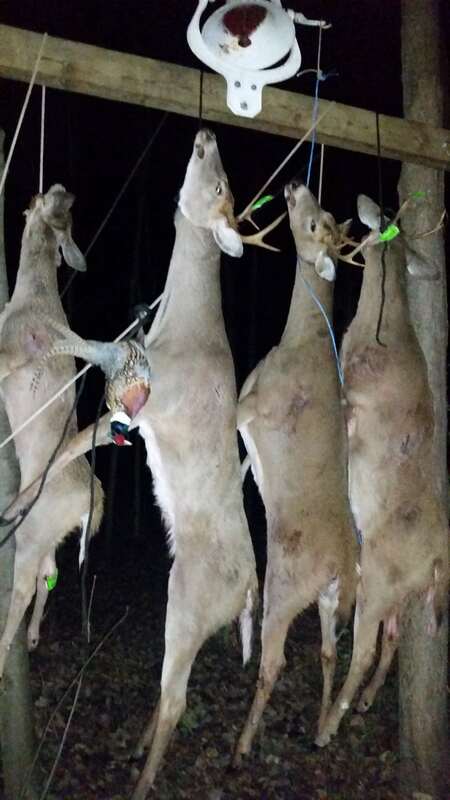 He and his buddies filled this buck pole up around the Caro area this season! 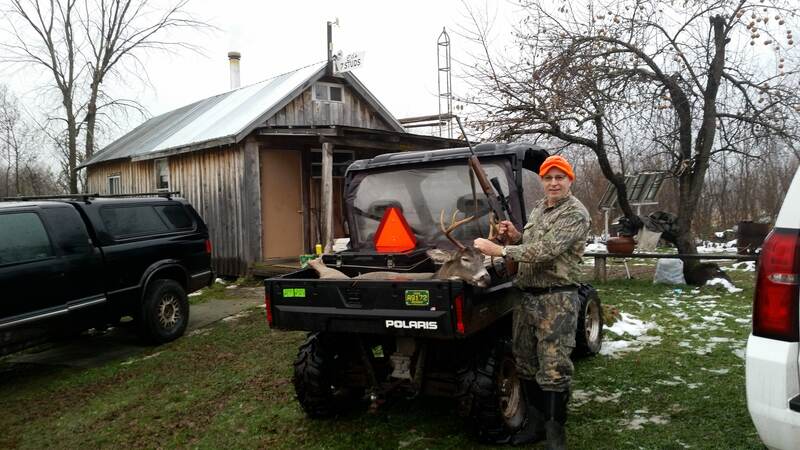 A Flint local monster buck brought in by our amazing installer, Jamie. As usual, this season, Jamie did not disappoint! Happy hunting! 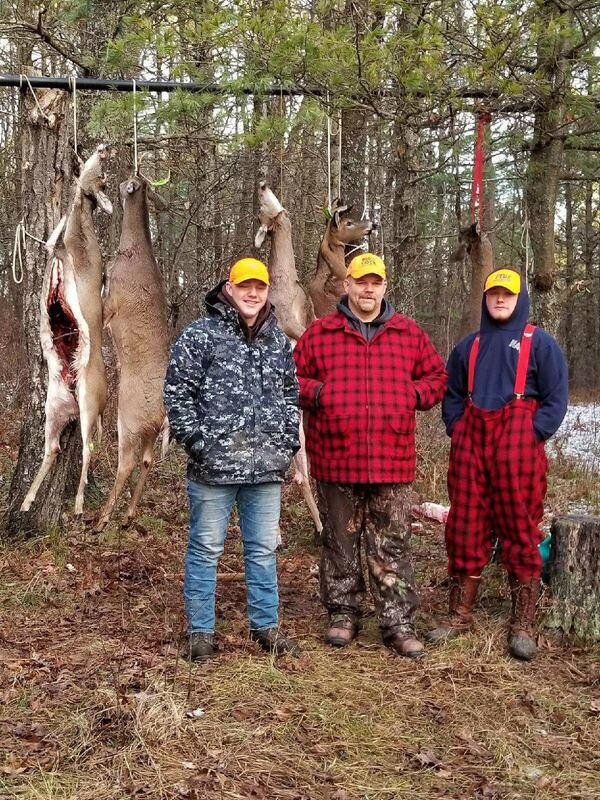 Not much time left to bag your buck. Good luck to all of our fellow construction industry hunters. 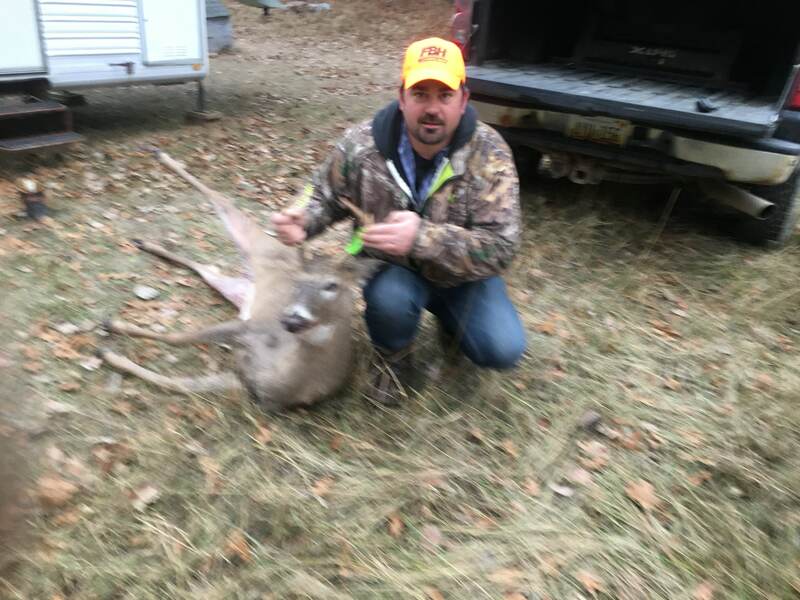 Corey, our fabulous welder, rocking his FBH hunter orange hat, nabbed this 4 Point with some tall tines. “Show us to the deer”! 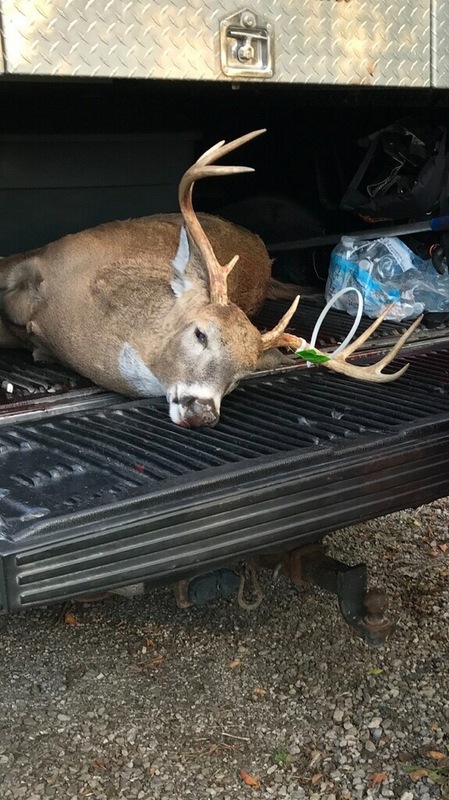 Jack Hippie shot this beautiful 5 Pt buck in Algoma county- while proudly sporting his FBH Hunter orange cap during this fantastic 2017 deer harvest ! 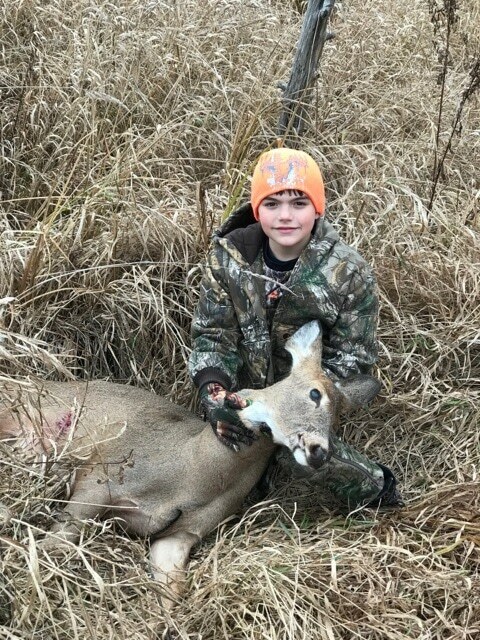 Way to go Jack! Jack with his boys- reppin’ FBH! 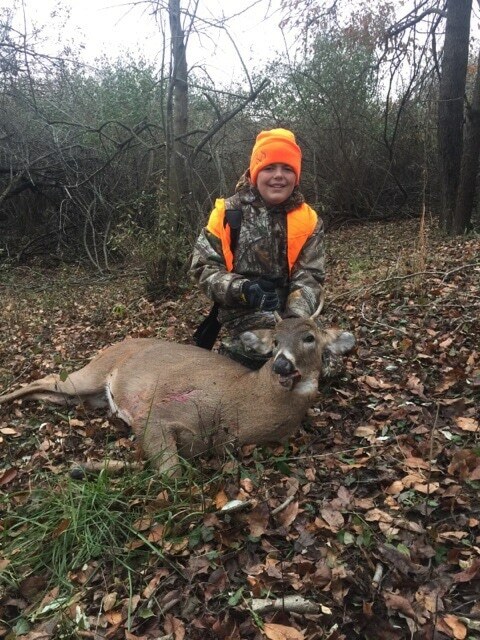 My niece Lexi got this nice 8 pt near Leroy during the 2017 youth hunt! #girlsrule! 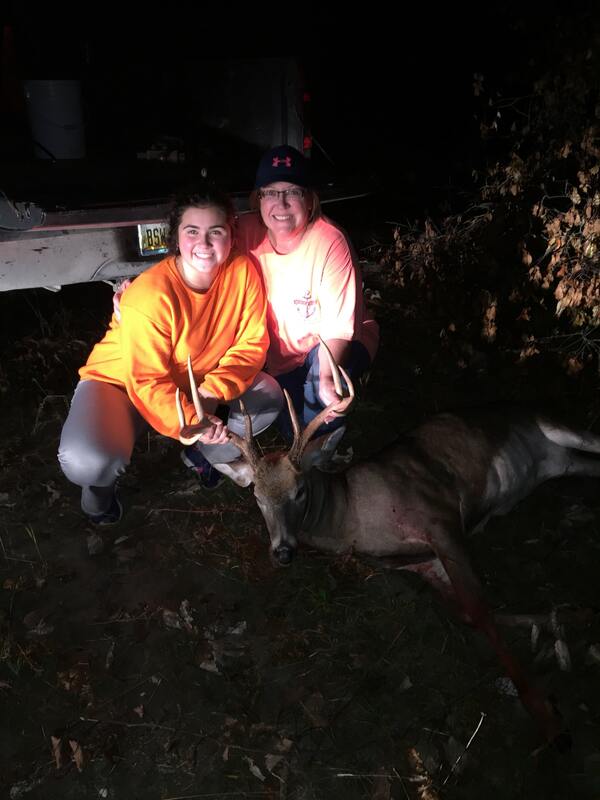 And did I say girls hunt too! 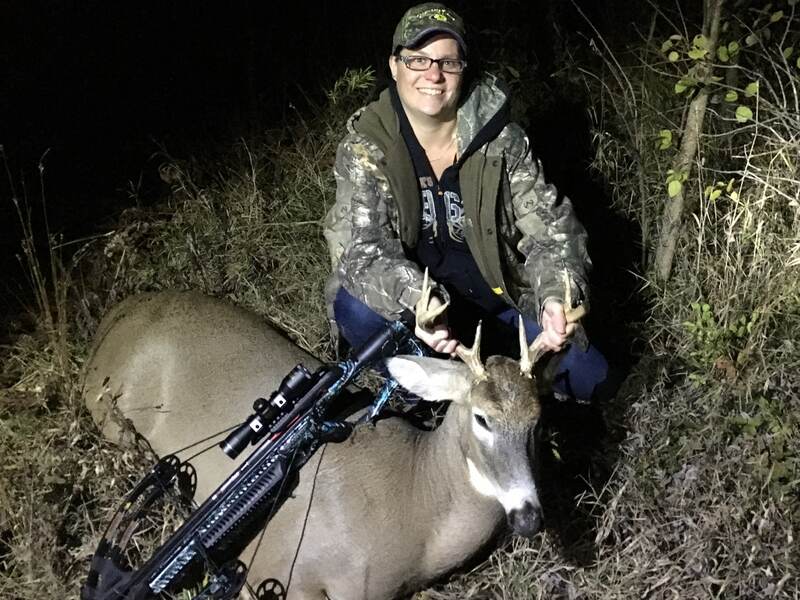 Take a look at this 7 Pt bow season buck, taken with this cool crossbow by Melissa Ross of E & L Construction, Oct 29th in Tuscola County. 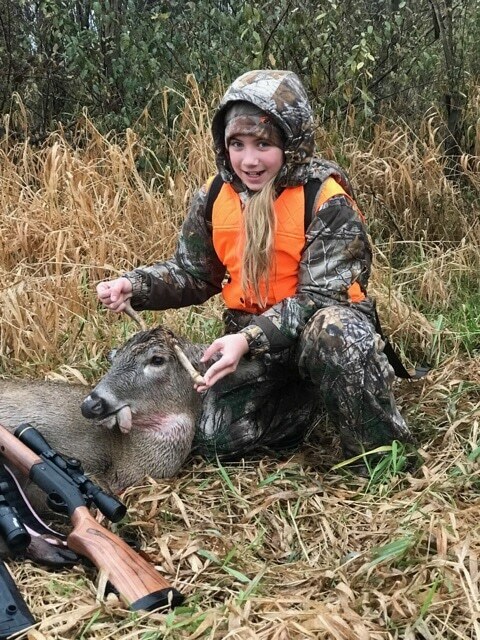 #girlswhohunt . Nice shot! 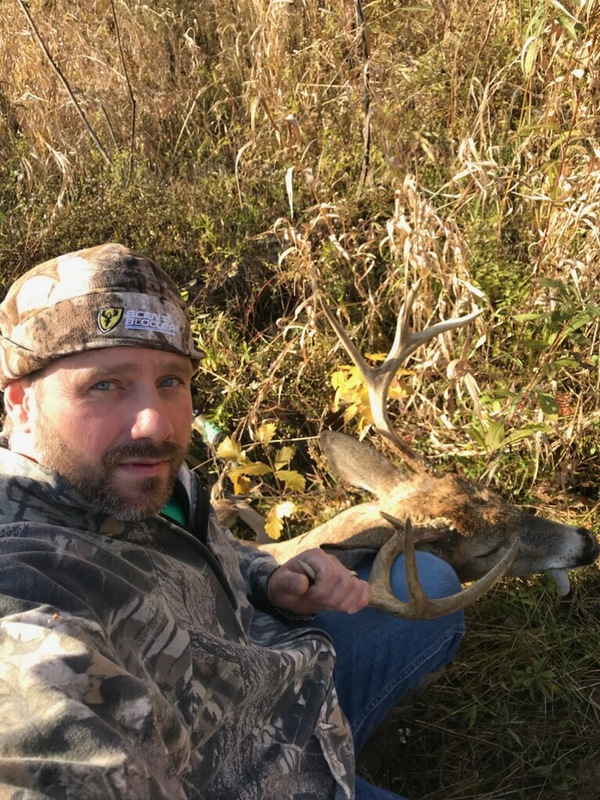 John Danko of E & L Construction gets it done this year with a fine looking 7 Pt ! Congratulations John! We will be sending you FBH hats for next year’s post😜! Ok, to be honest I had no idea E&L had so many great outdoorsman ! 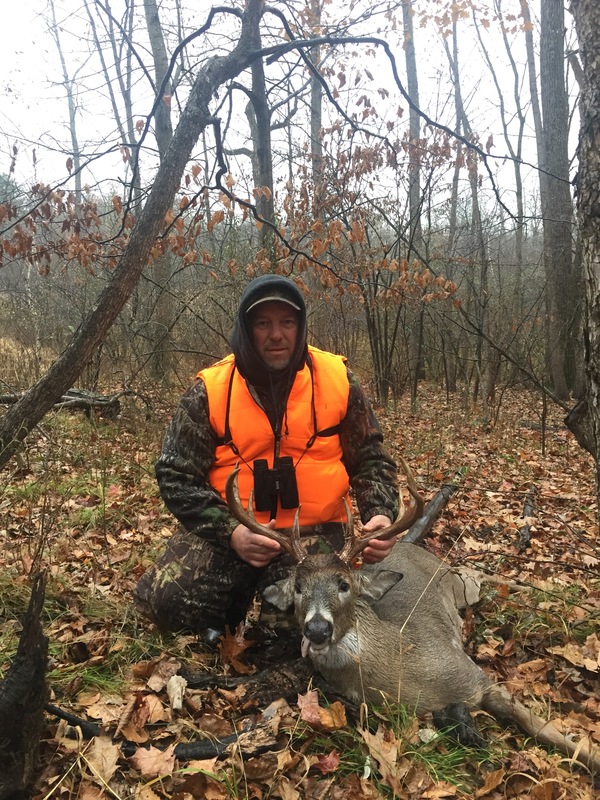 Looks like a nice UP buck by Dave Vedlinski! I think Dave could spend quite a bit of time off grid with his solar panels and wood heat! 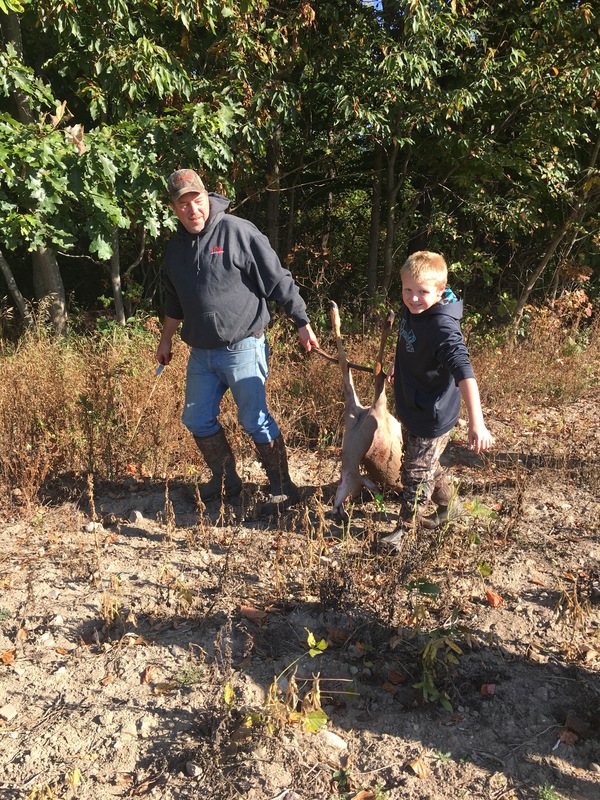 And below are Rick Blakley’s brave and fearless grandchildren, taking in what looks like a pretty decent hunt. 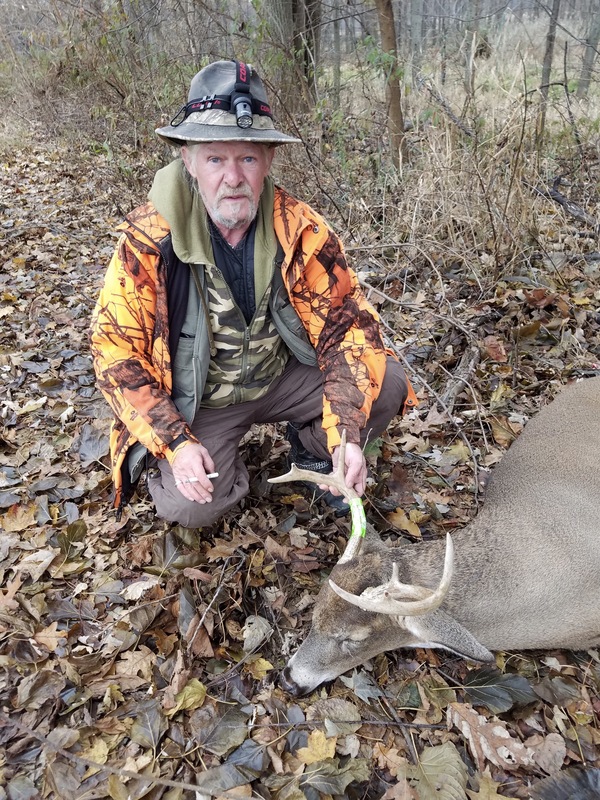 His granddaughter even bagged a very unique drop tine. Wow! 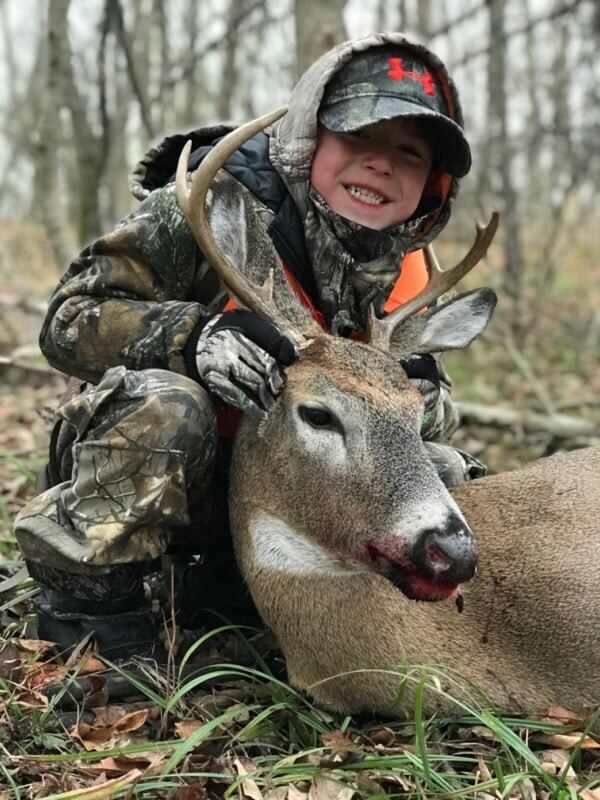 Jim Roth of Rhoads and Johnson shot this beautiful dark antlered beast – and also enjoyed some hunting with his grandson!